Sony has planned five versions in Xperia z6 but recently it had added another variant in Z6 and those six models are ready to come up in next year 2016. The mobile giant has named the models as Z6 Ultra (6.4-inch), Z6 Plus (5.8-inch), Z6 Mini (4-inch), Z6 (5.2-inch), Z6 compact (4.6- inch), Z6 Mini (4-inch) and Z6 Lite (5-inch). Sony Xperia Z6 Lite has a 5-inch display with 2.5-dimension curved glass and it is powered by snapdragon QUALCOMM 650 processor. According to the report, the phone was priced at 25,561 INR (approx) and it is expected to be launched in May 2016. 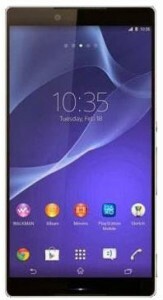 According to the leaks, Sony Xperia Z6 has QUALCOMM snapdragon 820 processor with pressure sensitive technology. But all the speculated and reported specifications may or may not vary in the original release, so people should research about it before purchase.